It is difficult to convince and help people adopt a healthy and environmentally friendly home, which could adapt to their changing needs, instead of them having to move. With its unique design, FlexSola can solve this challenge, but it will require the support and cooperative efforts of many people. Need inspires innovation, almost invariably! My story goes back to 1989, when I, Nicholas Varias designed and built our family home in London, Ontario. I wanted to have an independent lower level apartment. We had decided to raise our young children at home, and thanks to the unique configuration of our house, my wife was able to run a home day care to supplement our income. Following up on my idea, I submitted my design into the Canada Mortgage and Housing Corporation's FlexHousing Design Competition of 1995-96, which I won. 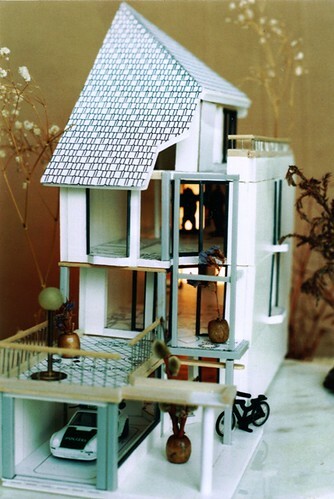 A model unit of my design was built at the Canadian Centre for Housing Technology in Ottawa, in 1999. FlexSola is the solar upgrade of my original design. By applying the main principles of FlexHousing™, adaptability, accessibility and affordability, FlexSola enables people to purchase and keep their home, rather than move when family or economic conditions change. FlexSola should therefore appeal to multi-generational living, first-home buyers, children & seniors homecare, home-based businesses. Amanda’s story of love and success describes the concept and its social and economic benefits in reconciling human needs. The ecological footprint of the house is reduced by its green roof, which returns to nature a large portion of the land covered by the building. Complemented by an optional greenhouse, the private rooftop becomes an outdoor oasis for leisure, pets, or to grow organic fruits and vegetables. Each unit can be expanded in plan and constructed with one, two or three storeys, to suit a variety of needs and budgets. Furthermore, the design incorporates a storage space stacked on each floor, for an optional wheelchair elevator. All this unique flexibility, presently not available on the housing market, will facilitate stable residencies, and create safe and caring neighbourhoods. In contrast with a conventional house, which can be a financial liability, FlexSola is in fact a financial asset. In other words, your FlexSola home can generate revenues from rent and electricity. It will also save you money on energy and maintenance. The design is based on steel and concrete modular elements that can be prefabricated to reduce costs and achieve a high quality of construction. The final design and construction will generate a lot of economic activity and jobs in your community. Our goal is to plant the seed for the first FlexSola housing community, and then see it spread all over the world to help people help themselves. We want to take FlexSola to all the communities of the world. When I first started working on it in 1989, the world was not a global village as it is today. It is important to adapt your product to needs in different parts of the world. I have been around and am older now. Recently I completed a design upgrade to make it solar compatible. Help me to figure out what else I should take into account to make FlexSola the flexible housing solution for the world. Share with me what a flexible house will mean to you in your part of the world. This project currently has 1 open challenge. Check back in Closedto view the impact of the current challenge. 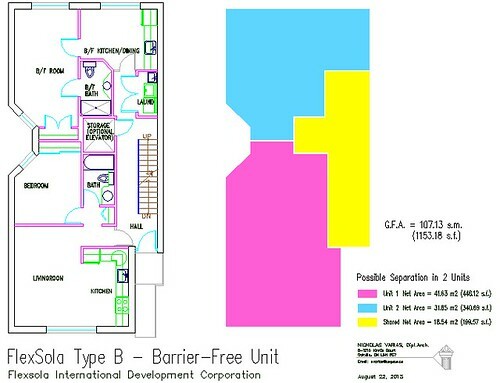 The TOP contributor will receive an exclusive custom design for a FlexSola house with drawings and plans. I will work personally with him/her to customise the design. The next 10 contributors will receive an exclusive 1 hour consultation each to make their house more FlexSolable :-) Every positive contribution will receive a ebook that I have written - Brainstorming for a Beautiful Planet. This book challenges conventional wisdom and proposes innovative solutions to resolve the conflict between our society and the natural world that sustains us. Respond to the open challenge to play a part in this project. Your contribution can earn you a reward. Rewards are in kind and can get awesomely creative. Do you want to do more and help this project in other ways? Leave your message here. We will make a direct introduction to the Project Creator.